We should keep a look out (be watchful) for the root of bitterness that can creep into our hearts. One of the ways to do this is to offer prayers of Thanksgiving to God. There is not better time to begin this than on this last day of the year - this will help us reflect on all that has taken place over the last 364 days. As we come to the end of another year, let us reflect on the things that have happened and give thanks for God journeying with us. 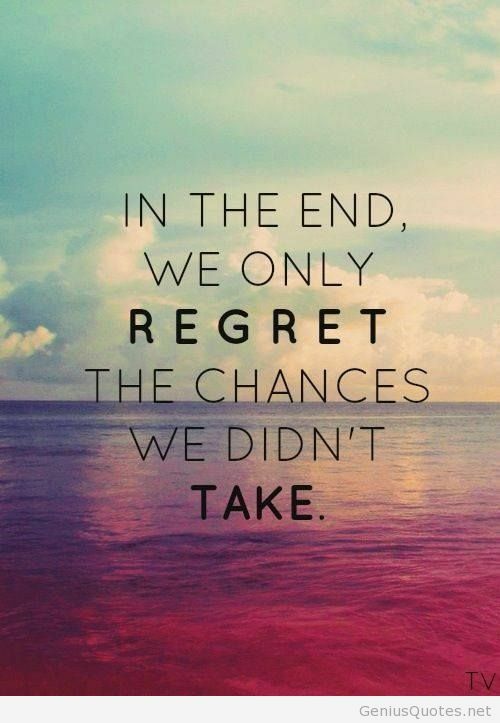 However, if we feel that we are living with a few regrets then let us resolve to take those chances in the new year. I am grateful that God allows us to have second chances. We may have missed an opportunity this past year, but let us not miss the NEXT opportunity that God sends our way. Hebrews 3:14 - We have come to share in Christ, if indeed we hold our original conviction firmly to the very end. 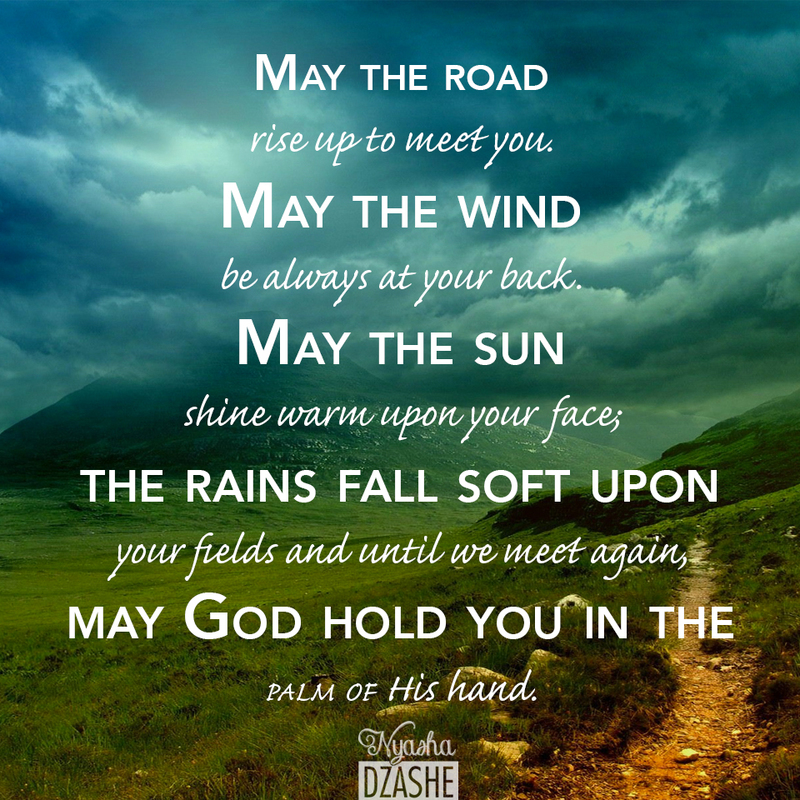 Carrying on from yesterday, where I used a line from a Traditional Irish Blessing, I want to use the last line of that blessing as our key focus for today. "May God hold you in the palm of His hand." I love the image that this line creates for us. It helps me imagine that God is so huge and strong, that he is able to lovingly hold me in his protective hand. 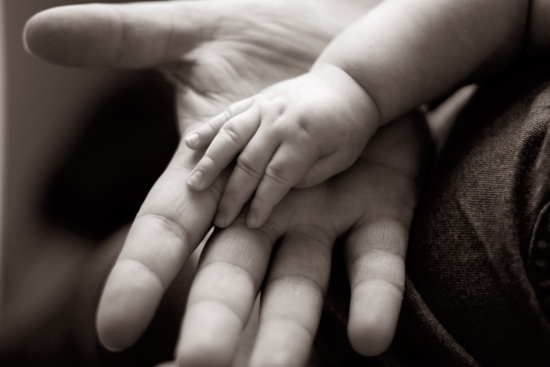 God has the power to squash and clench his fist, but instead he uses his hand to love, care and protect us. 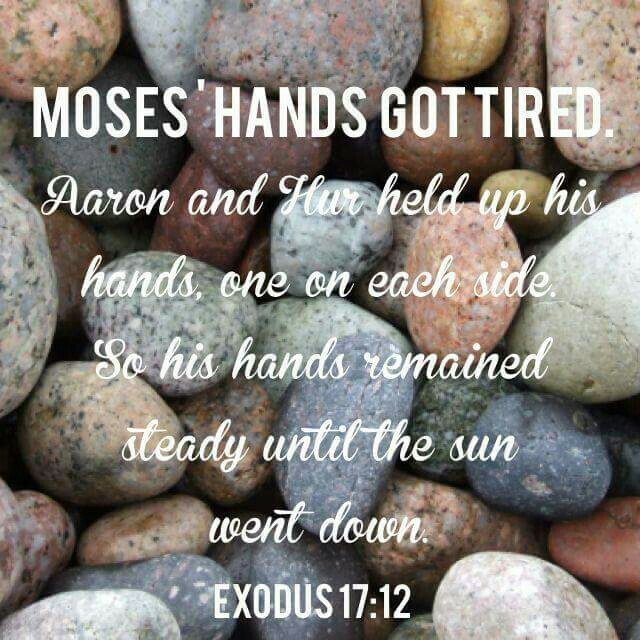 May this fantastic image live with you today - you can rest in the palm of God's hand. "May the wind be always at your back." 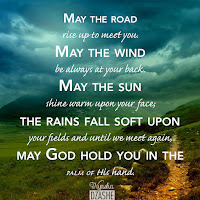 I never fully understood the impact of these words from the old Irish Blessing, until I began to run around Fish Hoek. Some days I can find myself really straining against the wind whilst on a jog, but then I turn down a side street and suddenly the wind is blowing on my back. Wow, it makes a world of difference. It almost feels as if the wind carries you along the road and the journey feels much more pleasant. A blessed Christmas to you all and thanks for taking the time to read these thoughts over the past months and years. All the excitement and anticipation is now at an end - CHRIST is present with us in the celebrations of his birth. May you sense God's abundant love today. May all the preparation and hype of the Advent season not disappoint us today - this is the moment we have all been waiting for. The Messiah has come. May our 'joyful anticipation' grow a deeper hunger within us - that we may desire more and more of the Lord. Christmas is ALMOST upon us. 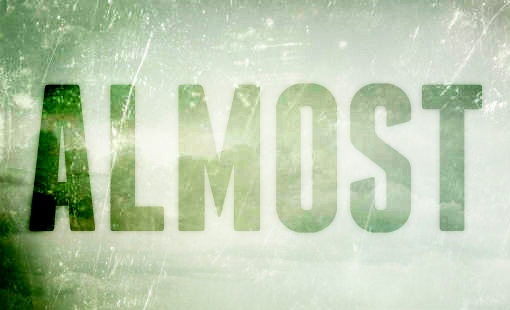 That word 'almost' is an interesting word, isn't? It speaks of a closeness, a nearness, and of something about to happen or of something that could happen in the future. "I almost believed in God's grace." "We almost experienced the peace of Christ this year." "I almost made amends with my loved one." "We almost gave our hearts to Jesus." Let us vow not to make our Christmas an 'Almost' encounter with God. Romans 13:12 - "The night is nearly over; the day is almost here. 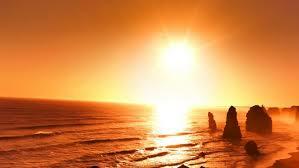 So let us put aside the deeds of darkness and put on the armor of light." This week marks the 'longest Day and shortest Night' in the Southern Hemisphere. It got me thinking about how long the days stay light for and how awesome it is be experience the long summer days. It also teaches me about how long God chooses to show us his light and Grace. God desires to reveal his love to us for as long as possible. Sadly, there will come a day when God will call all to account, but in the meantime we should all embrace the Grace given to us. 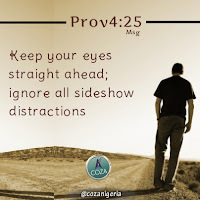 2 Peter 3:9 - The Lord is not slow in keeping his promise, as some understand slowness. Instead he is patient with you, not wanting anyone to perish, but everyone to come to repentance. As you enjoy the long summer days (or short winter days for those of you in the North) reflect on the graciousness of God. "The Lord your God is with you, he is mighty to save. Zephaniah speaks of a time when the Messiah will bring peace and victory to Israel. Just as a loving parent takes delight in their young child, so God will hold us in his arms, quieten us down with his soothing voice and sing love songs to help us rest. May you know that God delights in you today. May God 'quiet' your troubled soul with his love. 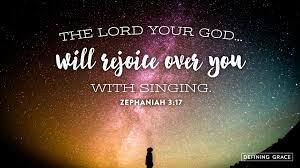 May you hear God rejoice over you with singing. In my diary I have a daily quote at the bottom of the page - often they are good, but some days they are brilliant. Take this one for example. It was from the other day. It takes a little time to digest these words, but they speak to me of experiencing Christmas within our hearts and not just on the surface. 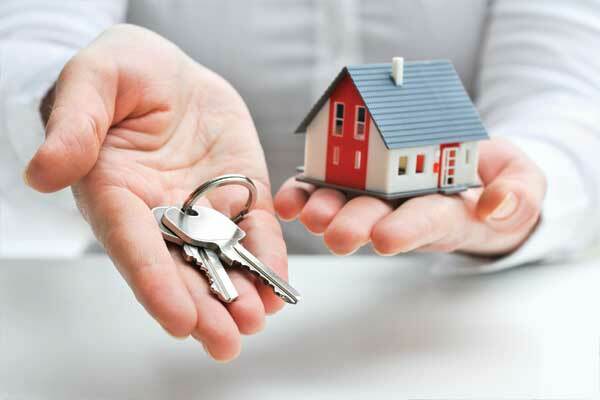 Getting beneath all the trappings is so important during the Festive season, because when the tinsel, lights and decorations are packed away, what are we going to be left with? Seek to experience Jesus this Christmas. It is at this time of the year that family and friends often come to visit - or we go and visit others. Usually these visits bring lots of joy and too much eating, but they are occasions we look forward to and remember for a long time. The word Advent can mean a number of things, including: 'coming' or 'visit' - and we remember in the season of Advent that God came to the earth in the person of Jesus. The Messiah came to VISIT humanity in order to bring us back to God. Jesus' visit was not just a social 'popping over for tea', but rather an intentional encounter with each one of us. Are you ready for the VISIT of the Messiah this year? 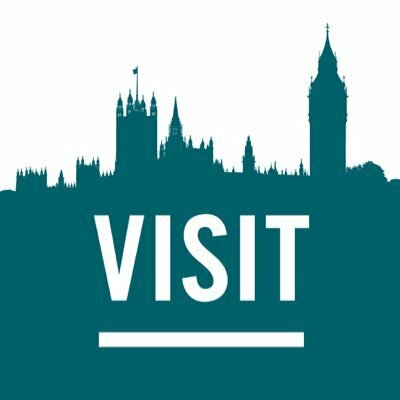 What expectations do you have of his visit? Let us get our hearts ready for this visit. Luke 1:68 - “Praise the Lord, the God of Israel, because he has visited and redeemed his people. We are too easily distracted! 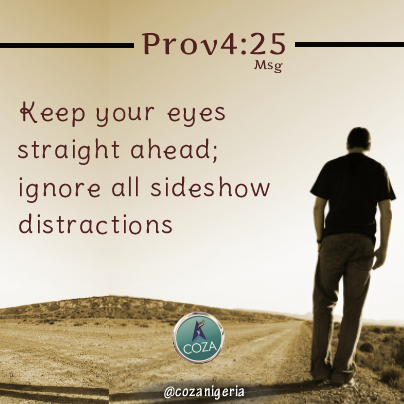 We are busy doing one thing and then someone comes along and interrupts us - we lose our concentration and the distraction is complete. 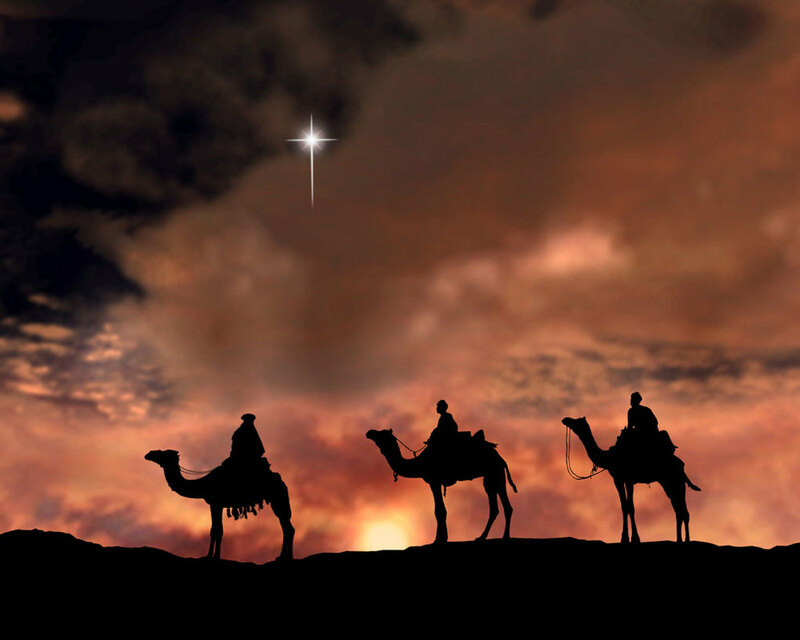 In all the final preparations for Christmas Day let us not lose our focus of the real reason for our Celebrations. Let us resolve not to be distracted by the all extra trappings of "Christmas." Martha was in the presence of Jesus and she still got distracted by the peripheral things. It is hard to remain focused on Jesus, but I pray that we will do all we can to keep our gaze on him. 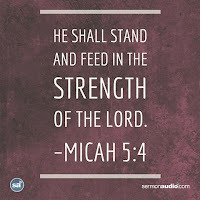 Let us resolve not to try and stand in our own strength, but in the strength of the LORD. Standing in our own strength always ends with us falling short and growing weary. May you have a blessed day and may you sense the power of the Spirit upon you. 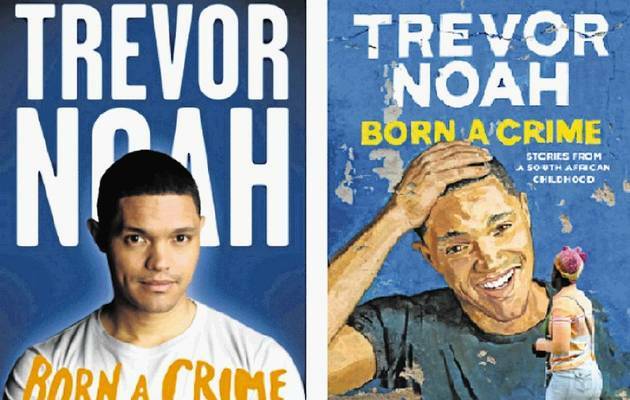 I am reading Trevor Noah's autobiography entitled 'Born a Crime' and it really is a fascinating read. It has challenged me on a number of fronts, especially as a South African. However, the one thing that keeps coming back to me, is the title of the book. Trevor was born into a South African context that didn't allow black and white people to be married to one another - it was a crime in those days. So, when Trevor took his first breath, he was considered to be the result of a criminal act. It got me thinking about Jesus' birth. For some, he was also born a crime. He was also seen as an upstart and someone who was challenging the religious law of the day. Even King Herod wasn't too happy about his birth. In a similar sense, Jesus was born into a world that didn't want him. And when he died, they crucified him as if he was a criminal. He was willing to go through all of this hatred just for us. What does Jesus' birth mean for you this year? 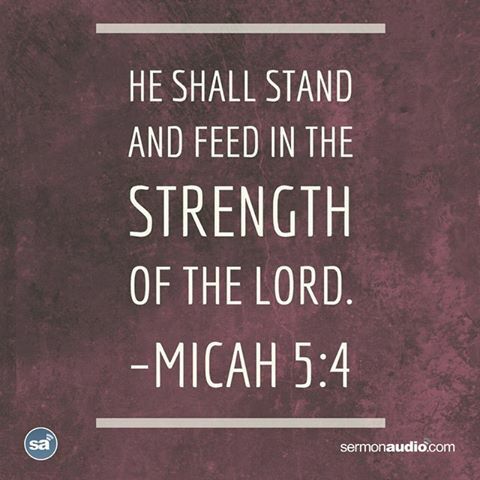 Our strength comes from being dependent on Jesus. When our trust is in Him, then we are settled. Unpacking is not a fun task at all. Box after box after box. And just when you think you are nearly the end, another box appears from nowhere. 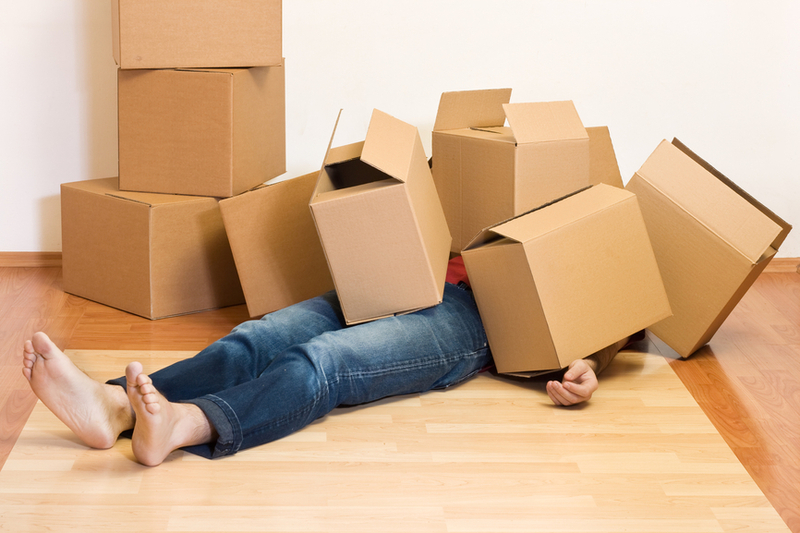 A friend asked us today how the unpacking was going and our answer was "we are getting there slowly!" And that is the truth - we will get to the end sometime in the future, but it won't be finished in a few days - it all takes time. This should be a good lesson for us in the season of Advent. After all, a lot of us want Christmas to be here RIGHT NOW, and we don't like the waiting part. However, moving towards Christmas day .... slowly, allows us to take in the beauty of the season, the expectancy of the Christ-child and the miracle of the Messiah. Rushing through Advent doesn't make us enjoy Christmas nearly as much as when we wait patiently. So here is a little advice for us all - let us take a deep breath, soak in the Christmas carols and celebrations, unpack each advent 'box' slowly and thank God for his presence with us. We will get there in the end and the wait is always well worth it! Luke 2:38 - "She came along just as Simeon was talking with Mary and Joseph, and she began praising God. She talked about the child to everyone who had been waiting expectantly for God to rescue Jerusalem." "Lord, you know the hopes of the helpless. I think this verse speaks into many lives this Advent season. There are a lot of people who feel 'helpless' with the circumstances that surround them, but if you asked these same people what they hoped for, they would give you a clear answer. They HOPE for change. 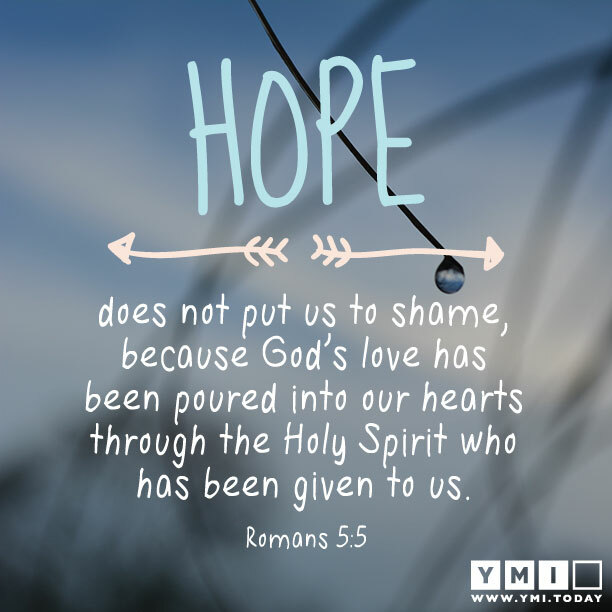 Hope still runs through our veins, even when we feel helpless. Jesus Christ offers all of us this HOPE - and so, may we receive his hope this Christmas season and remember that God hears the cries of his people. I wonder if God inspired these words for my three sons? .... and yes, I am sure we will be asked a few times .... "Are we there yet!?" If you are on the journey towards the birth of Jesus, then 'take it easy and try to get along with each other." "Why is everyone hungry for more? It is very hard to go against the flow of the majority at Christmas time. People are caught up in the whole 'more, more, more' mindset and we can so easily follow suit. 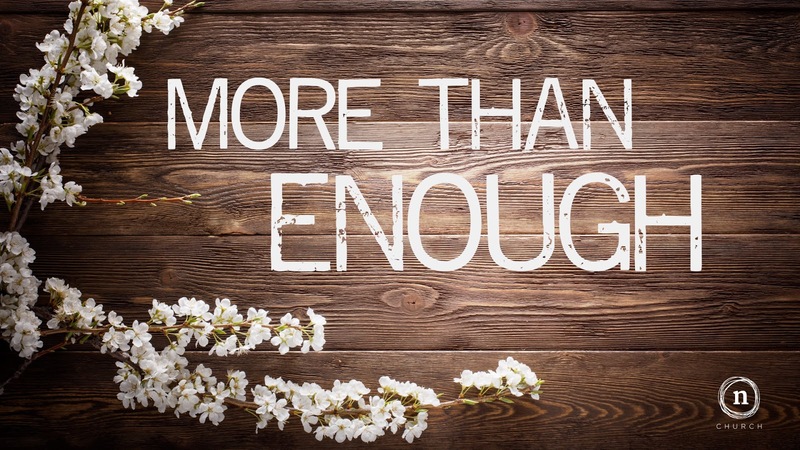 The challenge for all of us to get to the place where we can say - "God is more than enough!" "Jesus, Light of the world. comfort me with the light of Your presence. warm me with the light of Your love. guide me with the light of Your way. fill me with the light of Your wisdom. replenish me with the light of Your life. So that I, with You, may be light for the world! May the presence of Jesus guide you today. Advent is the season of HOPE. We wade through the busy shopping malls, packed highways, end of year functions - all in an effort to bring some kind of joy to others and ourselves. Yet, the very thing we all need is not an object, but a person. And in that person of Jesus, there is perpetual HOPE. May you come to encounter the living God this Advent season. 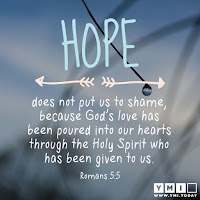 Romans 5:5 - And hope does not put us to shame, because God’s love has been poured out into our hearts through the Holy Spirit, who has been given to us. Thank you to everyone who has been an 'Aaron' and a 'Hur' to us over the last few days. We have needed all your support, care and help. It is so encouraging to know that when things get hard, there are people around to help 'lift your hands'. We appreciate every message and prayer - they have all kept us going. Thought: Be thankful for those people in your life, who keep your hands raised so you can get the work done.